New Delhi: “Everytime my mother goes for vegetable shopping; she brings in at least 10 plastic bags with her. With plastic ban in our state, Maharashtra, it became a tad difficult for her to buy vegetables without letting them get mixed. She would come home and crib while separating all the vegetables. Whenever this would happen, I would think of the solution and one fine day while I was researching, I came across this ‘Veggie to Fridgie’ bag and instantly purchased two bags- one for my mother and other for my mother-in-law. Now, they both thank me everytime they go out,” says 28-year-old Jatin Sharma from Mumbai. 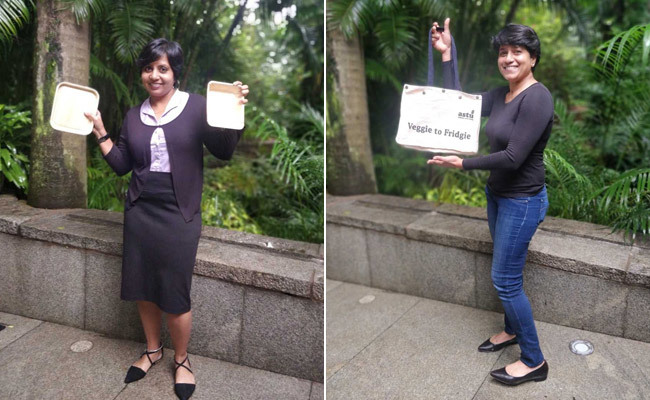 Veggie to Fridgie bag by Astu Eco, is a venture founded by two Bangaloreans – Anitha Shankar and Tejshree Madhu. It is one of the perfect alternatives to plastic bags. Veggie to Fridgie shopping bag which comes in three different styles and materials allows the user to keep the bags contents segregated. The journey of Veggie to Fridgie shopping bags and the duo’s fight against plastic dates back to 2015. 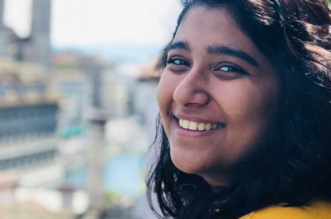 While Anitha was thinking of what should she do next, as she had just shutdown her seven year old business, Tejshree was looking to move out of her job. When I was figuring things out, I got to meet Teju (Tejshree) again. We did our MBA together and later parted our ways. So, later in 2015, we met and discussed what we should do because both of us wanted to get into entrepreneurship, something that can have a social impact, recalls 44-year-old Anitha Shankar, co-founder of Astu Eco, while speaking to NDTV. The duo spent a couple of years researching, and deciding on what to do. Many ideas bloomed to prototype at the Good Earth Astu Research (GEAR) Centre, but not all were feasible for volume business. All ideas and experiments were centered around plastic because they wanted to work for an environmental cause. Plastic litter and incessant garbage dumps on every road corner is painful to watch and digest, especially when you come back to your country after years, it hurts you. It is just there everywhere in front of you. And it is then we decided to do something about it instead of just talking about it. We decided to take this up as entrepreneurial venture itself and come up with alternatives to plastic because it is easy to say, ‘don’t use plastic’ but then what will they use? So, we decided to come up with ‘what to use’ and started Astu Eco in February 2017, tells Anitha. In a bid to decrease plastic footprint, the duo decided to focus on the takeaway segment. 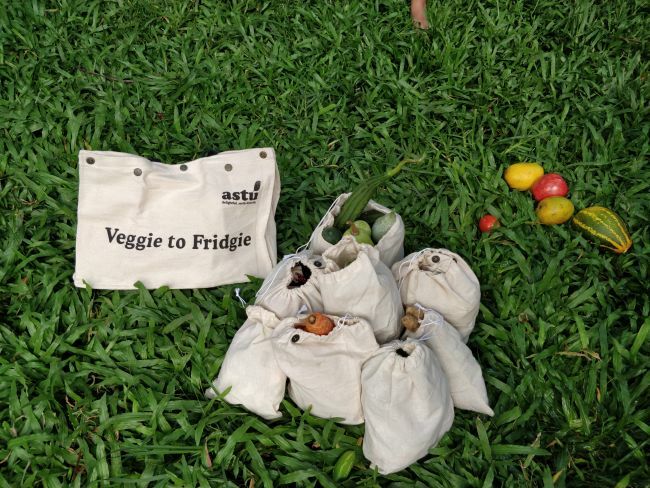 In line with that, in August 2017, Astu Eco introduced eco-friendly tableware and cutlery and almost an year later in July 2018 ‘Veggie to Fridgie’ shopping bags were launched. • Copper Beech – Cotton bag comes with six inbuilt partitions which are non-detachable because of which the bag can be used only for vegetable shopping. • Golden Palm – Canvas bag comes with five attachable cloth bags and three loose cloth bags (2 small, 1 large). The bags can be used both individually and collectively. • Silver Fir – Cotton bag comes with five attachable cloth bags and three loose cloth bags (2 small, 1 large). Even if you go shopping with your personal bag you end up picking plastic bags because you don’t want your mirchi to get mixed with beans. So, these bags save your time as you don’t have to segregate the vegetables. Also, detachable pouches can easily be stored in fridge. The best thing is, no plastic in terms of zip, velcro or button has been used in these bags, tells Anitha. 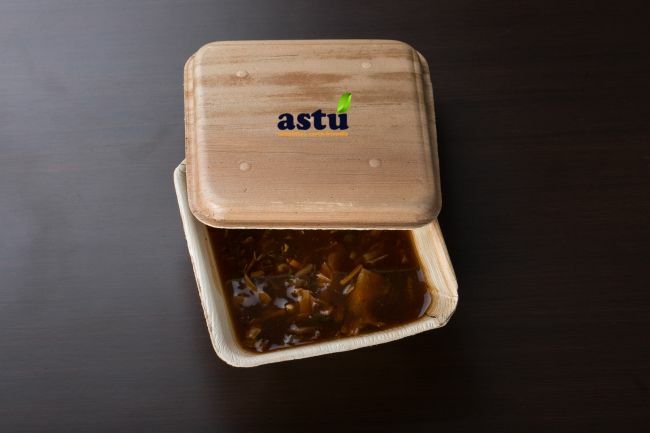 Apart from the bags, Astu Eco also introduced takeaway boxes made of areca sheath. 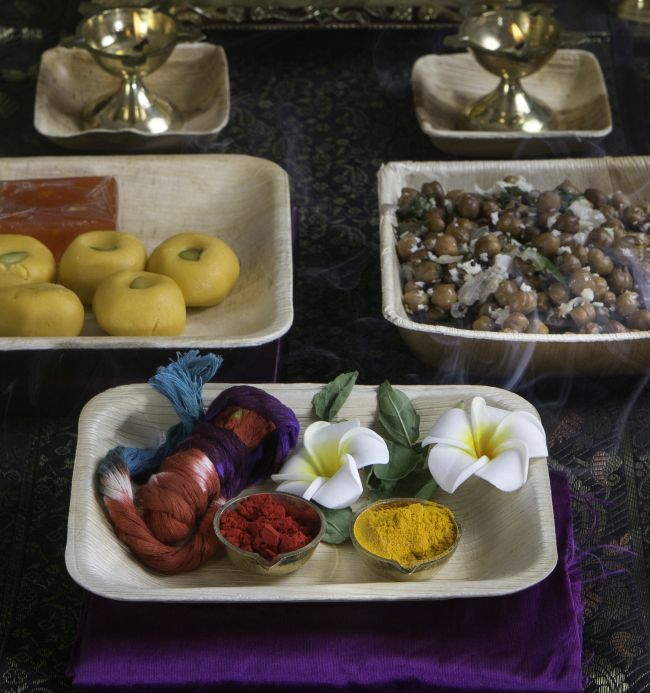 Slowly and gradually, complete range of tableware and cutlery, made of areca leaves was introduced. 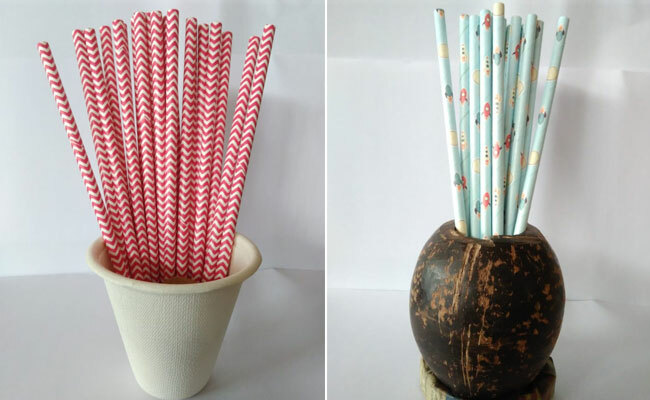 In addition to this, Astu Eco introduced paper straws and started importing bagasse products. Ranging from Rs. 3 per product to Rs. 20, Areca products are not only 100 per cent biodegradable, but also microwave and refrigerator safe. Also, the products have a shelf life of six months. During the making of Areca products no trees or animals are harmed. When the purpose of the areca sheath on the tree is over, it naturally falls off the tree. This agri-waste now has become a source of income to farmers. We purchase them through farmers, and then it is cleaned, segregated, and hand pressed in certain types of machines we have. It goes through stringent quality control and then packed and distributed, tells Anitha. 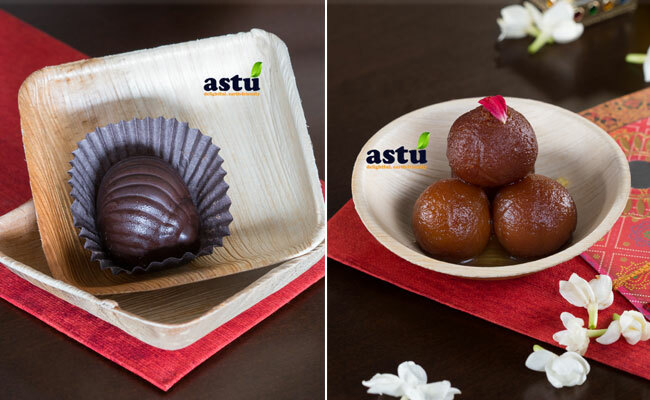 Today, the products are available on Astu Eco’s website and E-commerce website like Amazon. Also, the packaging of the products is eco-friendly. In addition to providing eco-friendly options, Astu Eco believes in consciously investing in building awareness. For the same, they run a YouTube channel EcoBEAT which provides simple tips and tricks on how to decrease the use of single-use plastic products like paper pens instead of use and throw pens. The innovator duo has also initiated plogging which is ‘pick up’ while you ‘jog’. Today, the team is working to bring in an alternative to other plastic products like coconut shell cups to put an end to their usage. For the same, research is underway at Good Earth Astu Research (GEAR) Center. With small changes everyday, people can make Earth a happier, cleaner, greener and plastic free Earth, signs off Anitha.